Includes phone and battery only. No cables or sim card included. *1/10 INCH LONG SCRATCHES SCATTERED ALL OVER SCREEN & REAR, SCUFFED SCREEN, REAR & CASING. * Device has some scuffs, scratches and/or dings. Clean ESN. AT&T. 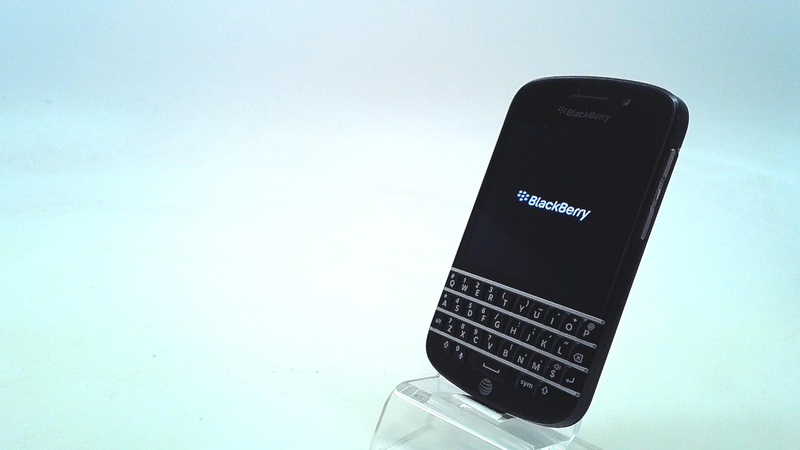 With its hardware QWERTY keyboard, the BlackBerry Q10 follows in the footsteps of many legacy smartphones made by RIM. The four rows of hardware keys are situated underneath a high-resolution, 720 by 720 pixel touchscreen measuring 3.1 inches in diagonal. The back of the BlackBerry Q10 is made out of a fancy, glass-like material that is claimed to be stronger, thinner, and lighter than the plastic used in many handsets today. The company's re-imagined BlackBerry 10 operating system runs on the device.